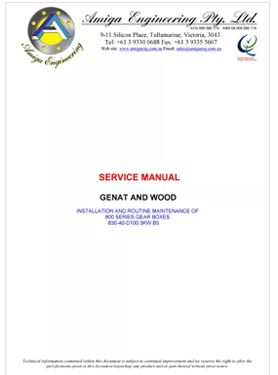 We at Genat & Wood™ offer a range of services for your gearbox. Do you need to order some spare parts for your Genat & Wood™ Gearbox; however you are unsure of the part numbers or name of the parts? are unsure how much to apply? Genat & Wood™ gearboxes and aerators. Installation – connecting the driven load, shaft alignment, mounting positions etc. Commissioning – Check procedures, running in period etc. Dimensions with Spare parts diagram and identification of your current parts (YES, even if your gearbox is over 30 years old).